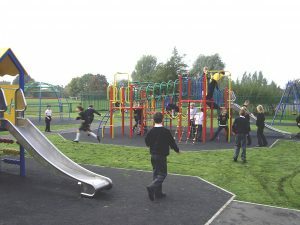 Our Parish incorporates the ancient villages of Hesketh and Becconsall, the whole area now being known as Hesketh Bank. 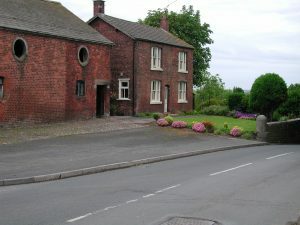 The Parish stretches from “Hundred End” in the South West, where it adjoins the Parish of North Meols, to the Parish of Tarleton in the South. “Hundred End” refers to the ancient boundary of the Leyland and West Derby ‘Hundreds’ and where until fairly recently, the boundary was marked with a huge boulder known as the Snotter Stone; its current whereabouts are unknown ! towards its confluence with the Ribble. Here we see the sizeable Marina adjacent to the Douglas Boat Yard which builds and maintains both sea going and canal craft. Access to the Leeds and Liverpool Canal is just over a mile upstream at the sea-lock of the Rufford branch of that canal. Both the villages have seen significant change in the landscape as reclamation of the Ribble Marshes has progressed further northwards. 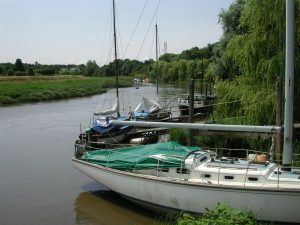 The name Hesketh is Danish meaning a landing place whilst Becconsall means Beacons Hill from the mound which was built to defend the fords over the river. 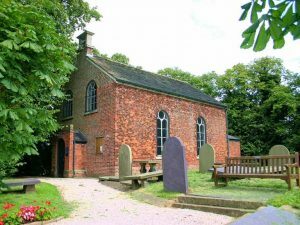 Here we see Becconsall Old Church which was built in 1765 although a church has existed on the site since at least the 16th century. The earliest reference to the village of Hesketh is in the 13th century with agriculture being the main occupation for many centuries. During the 1700’s sea going ships started to use the Douglas where coal, bricks and slates were transferred from barges. 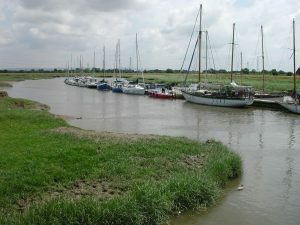 In the 19th century Irish labourers worked on reclaiming large areas of marshland from the sea, prior to which the two villages had been situated right on the Ribble estuary. Looking upstream on the Douglas towards Tarleton and the Leeds Liverpool Canal. Here for many years boats moored at the old Brick Works to take on cargo. Larger sea going vessels could only navigate the Douglas on the fortnightly Spring (high Tides. A local writer of the time, the Rev’d W.T. Bulpit describes the scene “When they set sail, they did so in such numbers that they were like a fleet of His Majesty’s Ships when they put to sea.” The current Borough ‘Local Plan’ sees this area along the westerly bank of the Douglas becoming a ‘Linear Park’ as far as Tarleton lock although the Council’s ambition is for this to extend through Rufford to the Main canal at Burscough and to the North and West over the reclaimed marshland to Southport. 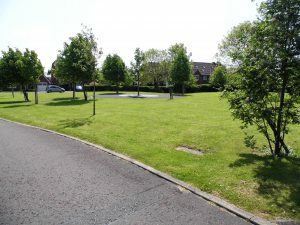 Today, Hesketh Bank has a population in excess of 4,000; current planning proposals could well see this top 5,000 in the not too distant future as modern estates (and infill housing) are built. In common with elsewhere, the old infrastructure struggles to cope with the additional traffic and the call on the u tility services.